The latest so-called “Obama drama” is a recent White House mandate that requires all employers and insurers to cover birth control. This decision has created some major turmoil, especially amongst religious groups whose faith teaches against artificial contraception. There are really two main issues at hand here: one, is birth control worthy of coverage by health insurance and two, does it infringe on freedom of religion to make all insurance carriers and employers, even religiously-affiliated ones, cover it? As far as if it deserves to be covered I say heck yes! 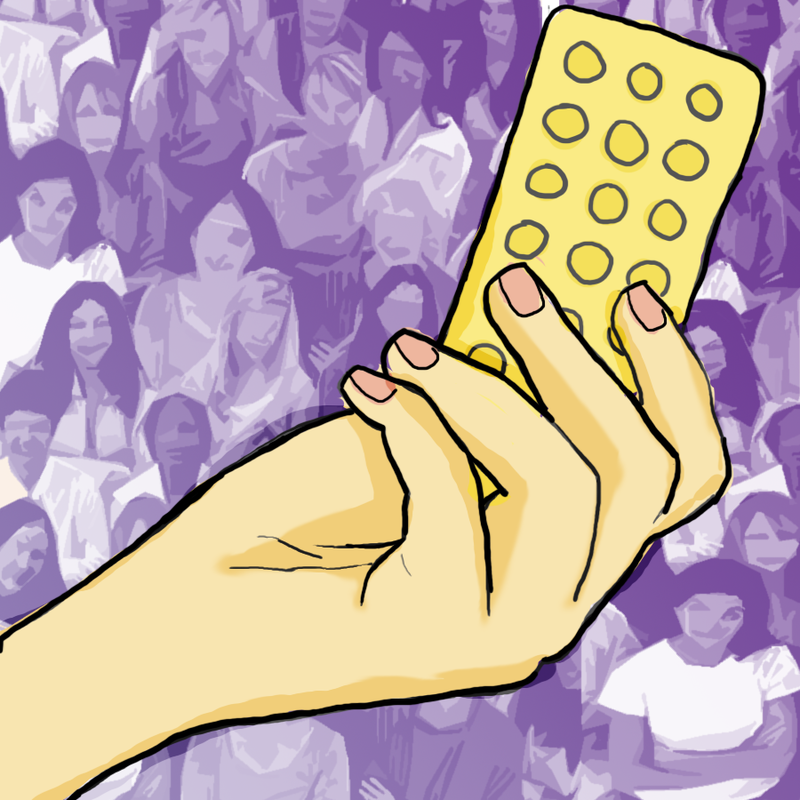 Birth control is not like, say vitamins; you don’t take it just to improve you and your body. It’s a legitimate medication; only some of its uses are to prevent pregnancy- in and of itself a big issue as preventing unwanted pregnancy decreases abortion rates and saves the government and taxpayers’ money supporting children that weren’t planned for when families cannot afford them. Birth control also has other medical uses such as treating premenstrual dysphoric disorder and polycystic ovary syndrome. There is also this myth that birth control is free or cheap and handed out like candy at places like Planned Parenthood. There are multiple types of birth control of varying price and purposes. Birth control can be incredibly expensive, hundreds of dollars per year expensive, making it very inaccessible to some of the people who need it the most. Estrostep Fe for instance has been known to carry an $88 price tag per batch (that’s about $1056 per year). So overall, yes, I definitely think it deserves to be covered and apparently so does our President. Also, how messed up is it that the committee that is deciding this issue is made up entirely of men? In fact, House Oversight Committee Chairman Rep. Darrell Issa (R-CA) refused women to be allowed on the panel at the hearing. Issa claimed the issue wasn’t one of women’s rights but an administrative one having to do with religious freedoms. While I agree this issue does have to do with religion, how does a decision around a medication used solely by women and involving the entirely female experience of pregnancy not garner female input? Speaking of religion, I don’t think mandating all insurance carries cover birth control infringes on religious freedoms. While religiously affiliated private universities and employers are not immune, the way the plan is designed, the coverage is offered directly by the insurance company. No one is forcing anyone to take the contraceptive. It is pure personal choice. They are forcing the option to be there and in a perfect world no religious institutions would not have to provide something that goes against their belief. However, I think it infringes on people’s rights more to deny someone from taking the contraceptive than to make a larger entity have it available and let people choose whether or not to take it. For instance, The New York Times covered a case where a recent female law graduate of Georgetown University, a Catholic and Jesuit institution in Washington, D.C., was denied birth control coverage by the school’s medical insurance even though she needed it for reasons other than as a contraceptive; she was a gay student and needed it as hormone treatment for Polycystic Ovary Syndrome. When she could no longer pay for the prescription and stopped taking it she developed an ovarian cyst that required surgery and the removal of her ovary. The argument has been made that students going to religious universities should know and abide by the policies of that institution. However, education is not like church. People choose to go to church to practice a faith. Many students who go to a religious institution do not in fact practice that religion and go there for other educational reasons, like the school was the best they were admitted to or it has the best program in their field. I don’t think it’s fair that non-religiously-affiliated students should have to abide by a certain religious code, especially when many religious universities promote that they are not exclusive to students that practice their religion, encourage differently oriented students to attend, and promote diversity and discourse on their campus. I am for the insurance coverage of birth control because I think whether to use artificial contraceptives or not is an individual’s choice, not the government or any other institution’s, and that woman having access to the pill will prevent unwanted pregnancies, which will subsequently lower abortion rates and save the government and taxpayers the cost of supporting unprepared for children.